Many brides dream of holding their wedding in a dreamy and exotic location abroad. There is no wonder why, for places such as tropical Bali, picturesque France and scenic Mexico hold undeniable charms. However, we know that a large number of brides-to-be feel lost and intimidated at the notion of holding their dream wedding abroad. After all, planning or coordinating a wedding in a location that you are familiar with is no easy task, so arranging one in a destination abroad will only prove to be a greater challenge. So here’s some handy tips to help you kick-start your (very exciting) destination wedding journey! This is definitely the least romantic or fun part of a wedding, but it is absolutely essential that you start by planning this aspect first. You should come up with an estimate of the total sum that you are willing to spend, as well as the amounts that you would like to allocate to different aspects of your wedding. For example, certain couples may want to spend more on the wedding venue, while others prefer to spend more on photography or entertainment. This may sound rather daunting, but don’t worry! You are just arriving at an estimate, and do not have to stress about the details of the budget at this point in time. Adjustments and changes will be made along the way, as you carry out further research and discussions with a variety of wedding vendors. However, it helps to have a cost estimate in mind, as it guides you in your search for a wedding venue and vendor services. We would like to emphasize that it is best that you finalize this aspect as soon as you can, after you have decided on a wedding destination. This is so as wedding venues tend to be booked rather quickly in advance by wedding couples. We’ve actually heard of popular wedding venues that have been secured about two years before the day of the wedding! It may appear strange that you are required to book a wedding venue at a period so far before the actual date of your wedding. However, there are certain wedding venues that serve various purposes. Some venues may be used as a location for vacation rentals (eg. villas), or are also available for other functions (hotel ballrooms). As such, it is best to secure such venues early, as there are many other couples, businesses and users competing for available booking slots. It is up to you to decide on a wedding planner before or after you have selected a wedding venue. Certain wedding couples may make bookings for a venue, before engaging a wedding planner to coordinate other aspects of their wedding. In other instances, the couple may source for a venue from suggestions made by the wedding planner. Factors that fall under this category include legalities, photography, hair and makeup, bridal gowns, wedding stationery...and more! Legalities are definitely a crucial factor for brides and grooms planning to hold a legal wedding abroad. However, certain couples may choose to register their marriage in their home country, and hold their wedding celebrations in a destination abroad. If you plan complete your wedding legalities in a foreign country, it is essential that you contact the embassy, and finalize arrangements for legalities with your wedding planner. 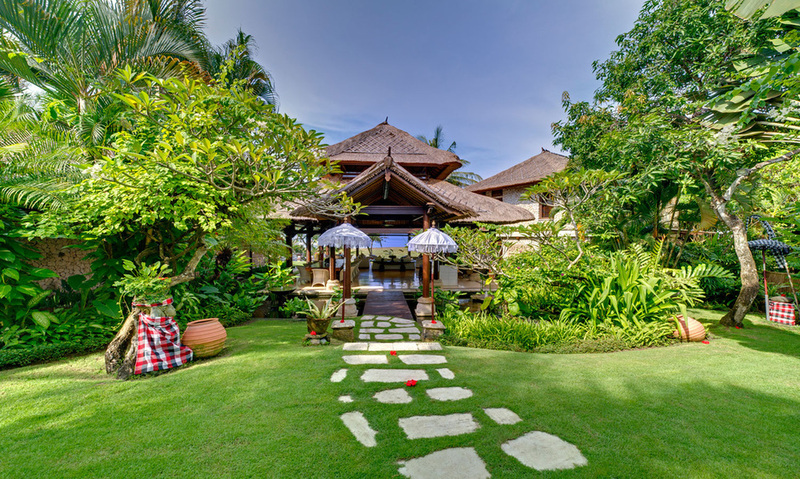 Wedding-Bali.com is an online guide providing information for everything and anything related to getting married in Bali! We also take in all kinds of wedding-related inquiries from our readers, and help to recommend vendors and venues for wedding couples.